The Spanish National Research Council (CSIC) is the largest public research organisation in Spain and third in Europe. The CSIC is a multidisciplinary organisation with 130 centres located nationwide and a workforce of 13,000. The CSIC files an average of 100 international (PCT) and 175 Spanish patent applications and signs more than 60 technology licenses each year. CSIC has developed a simple procedure for the preparation of polyhedral oligomeric silsesquioxanes (POSS) with perfect 3-D cubic symmetry, containing an azide or azol group in their structure and with a controlled functionalization. These materials impart unique properties to thermoplastics, thermosets, elastomers and coatings. 1.-This technology allows the preparation of a wide variety of structurally well-defined octafunctionalized POSS nanochemicals with perfect 3-D cubic symmetry. 3.- Efficient and controlled functionalization of POSS. 4.- These nanoparticles impart unique thermal and mechanical properties to thermoplastics, thermosets, elastomers and coatings. Industrial partners in Plastic sector are sought. In particular, producers of adittives and molecules interested in the final development of the technology and in a license agreement for its exploitation. The Institute of Chemical Physics “Rocasolano” of the Spanish National Research Council (CSIC) has developed new solid-state dye lasers. The active medium of these lasers consist of, at least, one dye solved in a solid matrix which is composed of, at least, one polymer improved with nanosized Si particles (Polymers Containing Silica, POSS). 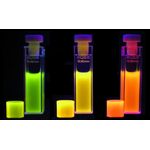 The combinations of dyes-polymers had been optimized for a wide variety of optoelectronic and biophotonic applications as they can emit tunable laser radiation in the green-red zone of the visible spectrum, with a narrow spectral linewidth and high yield and photostability. -Dye lasers are utilized in fields such as photo-dynamic therapies (diagnosis and treatment of tumors, dermatology) or industrial applications (control of quality). -Solid-state dye lasers are simpler to work with, require less maintenance, are cheaper and safer than liquid-dye lasers. They don’t need any kind of complex installation or flow control of organic solvents. -These lasers have been designed to work at a wide range of wavelengths in a stable and a flexible way always under controlled conditions. -The Si nano-particles help to dissipate the local heat, and make these lasers substantially more photostable. Moreover, the emission yield is enhanced thanks to the phenomenon of incoherent feedback into the coherent emission (process called in the literature “incoherent random lasing”). Industrial partners in the laser sector, spectroscopy, optics, lighting, cultural heritage, and control of quality are being sought to collaborate through a patent license agreement. 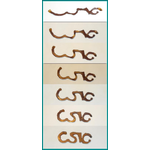 The Spanish National Research Council has developed an elastomeric material formed by interpenetrated ionic and covalent networks with shape memory effect which allows to respond to thermal stimuli. For the first time a memory effect is achieved in elastomeric materials due to the coexistence of ionic and covalent networks. The ionic network fixes the transitory shape whereas the covalent network enable the recovering of the initial shape. There is a wide range of applications of these materials such as: artificial muscles, intelligent weaves, biomedical devices, sensors, actuators or intelligent packing. 1.- Low capital investment: since the production and characterization of these smart materials are performed by means of conventional methods of rubber processing. 2.- Tailor-made properties: shape memory properties can be modulated according to the required properties in the finished product (different polymers, crosslinking agents, composition, temperature, deformation, etc. can be used). 3.- Reproducibility and repeatability: shape memory characteristics remain invariant throughout several cycles of programming and recovery of the original shape. 4.- Wide range of applications: actuators, sensors, artificial muscles, intelligent weaves, intelligent packing and biomedical devices. 5.- High raw material availability: commercial polymers are used. The CSIC has developed a polymer nanocomposite with thermal, mechanical and electrical properties drastically improved due to excellent filler dispersion in polymer matrix and to an optimal filler-matrix interface adhesion. The matrix is poly (ether ether ketone) (PEEK) or any polymer with similar structure. The filler is functionalized carbon nanomaterial covalently grafted to the surface of a polymer derived from the matrix. These nanocomposites are suitable for use in aerospace, aeronautical or transport industries, as well as for antistatic coatings and electrical shielding manufacturing. •The production process of these nanocomposites is simple, effective and industrially scalable. •Very good dispersion of the reinforcement in the polymer matrix and excellent interface adhesion between both phases. •Low filler concentration is required to achieve nanocomposites with better mechanical, thermal and electrical properties than the unreinforced polymer or the polymer reinforced with similar fillers added by means of direct mixing. We are looking for Industrial Partners interested in a license agreement for the exploitation of this technology. In particular, polymers manufacturers, producers of PEEK or polymers with similar structure. In adition, this technology finds its main application in aeronautical and aerospace therefore companies in these sectors could be of interest. 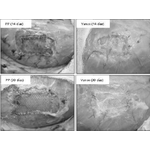 CSIC has developed a novel and simple method to produce high molecular weight polyimides. In this process diamine monomers are activated in situ by means of silylation that confers a high reactivity to them. This simple procedure allows to produce polyimides with higher molecular weights than those obtained by existing methods. This opens an economic and simple route towards the high molecular weight polyimides synthesis. The polymers obtained by means of this technique could be used in multiple applications where good mechanical and wear properties are required or where certain permeability (high or low) is desired. •It is a simple and economical synthesis route where a rigorous control of reaction conditions is not required. 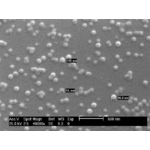 •In situ silylation avoids the use of silylated diamines whose manipulation is complex. This could allow the incorporation of this route of synthesis at industrial scale. •Polyimides of higher molecular weight than those obtained by conventional methods are produced by this technique. •These polymers can be used in applications where high mechanical and wear properties are required or where low/high permeability is desired. We are looking for Industrial Partners interested in a license agreement for the exploitation of this technology. In particular, industries of polyimides synthesis that wants to optimize production process by incorporating a simple and economic process or those synthesis companies via condensation polymerisation that wants to enlarge their product catalogue including polyimides in their product line. In adition, since the main application of this technology is for membrane production, membrane manufacturers are also of interest. The Spanish National Research Council (CSIC) has developed vinylimidazole derivative self-assembled amphiphilic polymeric systems bearing nonsteroidal anti-inflammatory drug (NSAID). This unprecedented development allows combining, in one formulation, two strategies for the treatment of pain associated to inflammatory processes: on the one hand the inhibition of matrix metalloproteinases (MMPs), responsible for these inflammatory processes and, on the other hand a controlled and localized release of NSAID is achieved. •Double action in one formulation: therapeutical action by means of inhibition of MMPs and controlled and localized release of NSAID. •Scalability: the method of preparation of copolymers is simple and effective. In vitro release experiments show efficient releasing profiles. •Applications: as anti-inflammatory system for NSAID controlled and localized release, as injectable systems for in situ drug release, as biomedical device bioactive coating, as MMP inhibitors, as a medical implant coating, as non viral vectors in genetic therapy, as a component of antiseptic solutions and as bioactive reabsorbable polymer with controlled therapeutic action. We are looking for Industrial partners interested in a license agreement for the exploitation of this technology. In particular, pharmaceutical companies, medical device producers, implants producers. 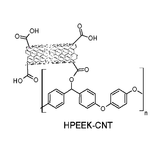 The Spanish National Research Council (CSIC) has developed a new hydrogels generation based on star structure poloxamers with suitable properties for their application as drug controlled release vehicle. Specifically, since these hydrogels exhibit low critical solution temperature (LCST) in the human cornea temperature range and show excellent bioadhesivity they are ideal for ophthalmological applications. •Ideal for ophthalmological applications because they exhibit a low critical solution temperature (LCST) in the temperature range between 30-35ºC, that is to say, in human cornea temperature range. •They undergo a slow hydrolytic degradation in physiological media. •They exhibit excellent bioadhesivity what make them suitable for topical administration route. We are looking for Industrial Partners interested in a license agreement for the exploitation of this technology. In particular, pharnaceutical companies developing drug delivery systems for ocular application. The Spanish National Research Council (CSIC), in collaboration with University of Alcalá, has developed a novel coating for prosthetic meshes that is an effective vehicle for bioactive agent controlled release. The bioactive agent can be antibiotics, antitrombogenics, etc. An important progress in abdominal surgical applications is achieved since, for the first time, a surface modification of the prosthesis is performed avoiding post-operation infections. •A controlled and located release of bioactive agent is achieved. •The adequate solubility allows the liberation in a suitable way. •The post-operative infection is avoided in the following critics 48 hours. •The polymers of this coating are reabsorbed in few days avoiding undesirable second effects. •There is no need of further operations due to bacterium colonization. •Applicable clinically to prevent implant infection in patients at risk for having an altered immune system: immunosupressed, diabetes, oncological, elderly, etc. We are looking for Industrial Partners interested in a license agreement for the exploitation of this technology. In particular, pharmaceutic companies and/or health care products manufacturers. CSIC has developed a method to functionalize polystyrene surfaces in a controlled way. First, a chlorosulfonation of polymer surface is carried out followed by a reaction with bifunctional molecules. Surface can be functionalized with a wide range of groups. 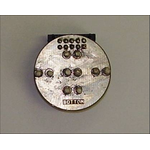 These substrates are suitable for diagnostic essays like ELISA or DNA chips. •Higher number of functional groups: the number of functional groups is 1-2 orders of magnitude larger than that obtained with other methods. •Homogeneity and reproducibility: homogeneous surfaces with a controllable number of functional groups are obtained. Only the preselected functional group is reproducibly and selectively obtained. In the case of amines, only primary aliphatic amine groups are obtained and not a mixture of functional groups like in commercial products. •Proccess versatility: surfaces can be functionalized with a wide variety of groups: amine, carboxy, sulphonic, sulphonazides or metilic esthers. •Optical quality: transparency of the surface is preserved. •Adaptability: it is possible to adjust the distance between the surface and the created amine groups by means of the length of the applied aliphatic spacer. This allows an excellent accessibility for the biomolecules. •Applicability: functionalized substrates are suitable for diagnostic assays of ELISA or DNA chips type. We are looking for Industrial Partners interested in a license agreement for the exploitation of this technology. In particular manufacturer and supplier of scientific laboratory products (producers of diagnostic kits for ELISA and DNA chips essays). 2.- The conductivity of the material used in the fabrication of the electrodes avoids the use of conductive gel of the current devices existing. This prevents problems as patient preparation time and electrical shorting of the electrodes as a result of displacement the gel. The absence of gel also facilitates registration of very close bioelectric signals, reducing the registration area. 3.- The distribution of electrodes in the bioelectronic device (multielectrode) permit to reach a better sensor response to bioelectric signals emitted. 4.- The latex manufacture process is quick and easy, and it is produced from low costs natural components. The fabrication method does not require the use of any solvent. We are looking for Industrial Partners interested in a license agreement for the exploitation of this technology. In particular, manufacturer of medical or laboratory devices. 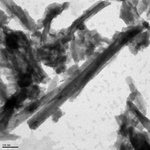 CSIC has developed a method to prepare conducting carbonaceous materials with controllable morphology, through the carbonization, in soft conditions, of biopolymers supported over fibrous clays. It is also possible to achieve conductive foams with this process. •To reduce the carbonization temperatures in the preparation of carbonaceous materials from biopolymers. It produces a reduction of the energetic costs of the process and make it more environmentally friendly. •To control the morphology of the prepared carbonaceous materials by control of the relative quantities of the biopolymer and the clay. •To functionalize the obtained materials due to the presence of silanol groups in the external surface of the clay. 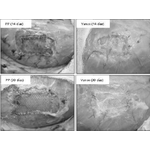 In this case, the use of expensive and dangerous oxidation treatments to promote the subsequent functionalization, particularly of graphite materials, is avoided yielding a safer and cleaner functionalizable material. These materials are interesting in electronics, transportation and electric safety. 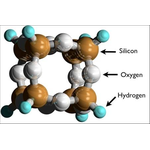 They also find applications in electrocatalysis and electroanalytical. Industrial partners, related to these sectors, interested in a license agreement for the exploitation of this technology are sought. 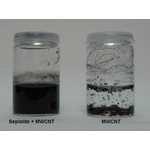 CSIC has developed a method to disperse carbon nanotubes in hydrophilic media through the association of these nanomaterials with fibrous clays such as sepiolite and palygorskite. The developed formulation allows the preparation of stable carbon nanotube and nanofibers dispersions, which are useful to prepare biopolymer based nanocomposites or self supported conductive membranes without the addition of surfactant. he filtration of these suspensions results in self-supported membranes with adjustable electric conductivity. The prepared materials can be combined with different polymers to prepare electrically conductive and mechanically strong nanocomposites. We are looking for industrial partners in polymer and plastic area interested in a license agreement for the exploitation of this technology.